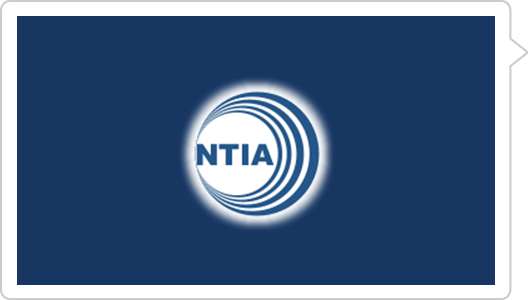 The NTIA requested for comments to help inform the organization to identify priority issues and help effectively leverage its resources and expertise to address those issues. The issues whose comments have been solicited include how the multistakeholder approach continue to support an environment for the internet to grow and thrive, the sufficiency on not of the existing accountability structures within multistakeholder internet governance. Others include the big question, “Should the IANA Stewardship Transition be unwound?, NTIA’s priorities within ICANN and the GAC, cybersecurity threats harming international commerce and emerging technologies and trends should be the focus of international policy discussions. Does the multistakeholder approach continue to support an environment for the internet to grow and thrive? In a YES and NO response, DCA contends that although the evolving multistakeholder model that brings stakeholders to a dialogue, decision making fora, and proposal making platform for solutions to enumerated common problems or goals is good, it needs an environment of transparency and accountability and devoid of conflict of interest by the stakeholders. DCA also states that it is not only time consuming but also Not all stakeholders are equal: Decisions from the multistakeholder models may be affected by more vocal/dominant stakeholders who then cause the decisions made to fully consensus based. The organization recommends that the multistakeholder model needs to be less talk and more action and should improve transparency and accountability mechanisms. Should the IANA Stewardship Transition be unwound? This is probably a question in many people’s mind, especially considering ICANN’s history of accountability. ICANN was granted self-governance by the NTIA in 1 October 2016 when the contract between the Internet Corporation for Assigned Names and Numbers (ICANN) and the United States Department of Commerce National Telecommunications and Information Administration (NTIA), to perform the Internet Assigned Numbers Authority (IANA) functions, officially expired amid many protestations and doubt of ICANN’s abilities to self govern. This marked the transition of the coordination and management of the Internet’s unique identifiers to the private-sector. IANA transition should implement a visible oversight role of ICANN and ensure actual accountability in ICANN. There are examples of conflict of interest and opportune lack of transparency that negatively impacts ICANN decisions. There is need for leadership in ensuring that ICANN and its third-party contractors are routinely scrutinized for all decisions made to ensure there is ownership of any board and organizational proposals and actions. On the ICANN Governmental Advisory Committee (GAC)? DCA who was a victim of the the organization in the famous remark of creative ambiguity during the independent review process (IRP) “…as ICANN’s own witness, GAC Chair Ms. Heather Dryden acknowledged during the hearing, the GAC did not act with transparency or in a manner designed to insure fairness.” during the handling of the .Africa new gTLD application. Audit the accountability and conflict of interest issues. Audit the current new gTLD program and all complains by applicants that have been placed. Scrutinize how ICANN/GAC leadership are handling the interests of the internet users to ensure ICANN’s primary principles of operation and espoused commitment to enhance the operational stability, reliability, resiliency, security, and global interoperability of the systems and processes, both internal and external, that directly affect and/or are affected by the Internet’s system of unique identifiers that ICANN coordinates. This will help preserve the operational stability of the Internet; to promote competition; to achieve broad representation of the global Internet community; and to develop policies appropriate to its mission through bottom-up, consensus-based processes.